There has been a murder at the old Boddy mansion. Mr. Boddy has had an untimely demise, and it&apos;s up to you to help find the killer. Was it the sweet Mrs. Peacock, the suave Colonel Mustard or one of the other famed casts of characters? 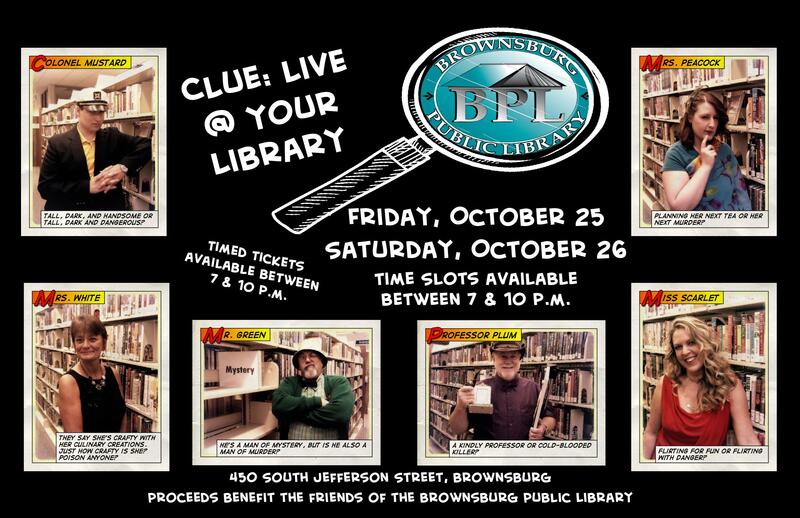 Join in the mysterious fun Oct. 25 and 26 for the fourth annual Clue Live @ Your Library at the Brownsburg Public Library. This fun fall event has become so popular that visitors from as far away as Illinois have traveled to Hendricks County to experience this interactive version of the popular board game all while benefiting a great cause! 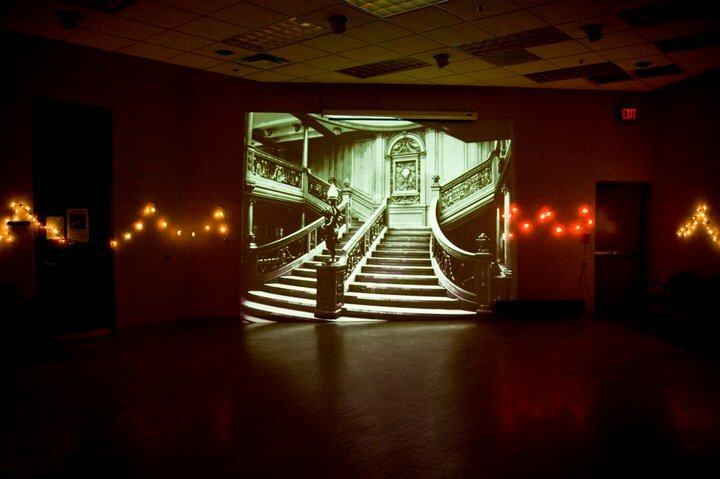 Take a visit to the Boddy mansion (aka the Brownsburg library) on one of these nights to help solve the mystery. Groups (maximum of 5) will be led through different rooms of the mansion by a detective in which they will encounter different suspects. You will interview the suspects before guessing who your group thinks the killer is. The first team to give the correct solution wins! Souvenir photos will be posted on the library&apos;s Facebook page. This fun filled mystery takes 45 minutes to complete. 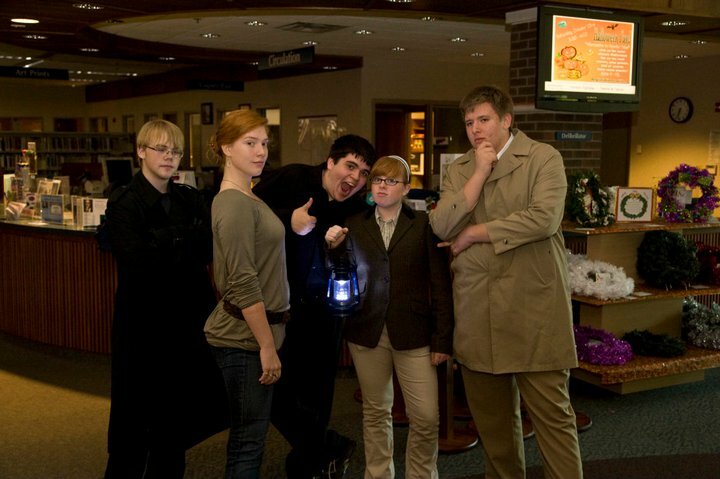 According to Amie Thomas, Public Services Administrator with the Brownsburg Library, Clue Live has proven to be great fun for a few reasons. "Who doesn&apos;t want to travel through the library after hours? 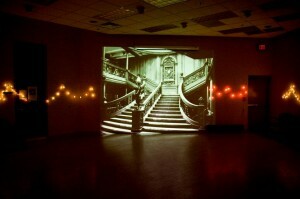 We transform the library into the Boddy Mansion and it&apos;s a 3-D experience. The CLUE characters come to life; and we play with lighting and even scents (the Billiard Room for example has a cigar scented fragrance we use). The other thing that is fun is the unpredictability. The cards are drawn at random before the players walk through the door, so every time the game is different. Add in the kooky characters and it&apos;s just the perfect mix of fall fun." The Clue game is a great event for the whole family or a group. The library does recommend that children who may not understand the game yet pair up with an adult. Tickets for this event are just $30 per group (maximum of 5) or $7 per person. 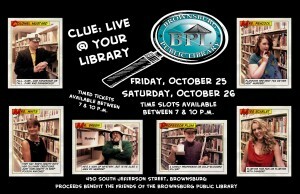 Timed tickets may be purchased at the Brownsburg Public Library, 450 S. Jefferson St., Brownsburg. For more information, contact Amie at (317) 852-3167, ext. 108, or via email to athomas@brownsburg.lib.in.us. The proceeds benefit the Friends of the Brownsburg Library. They support all of their programming by buying supplies, helping them bring in outside presenters and more. So who did kill Mr. Boddy? I trust you will uncover the mystery!